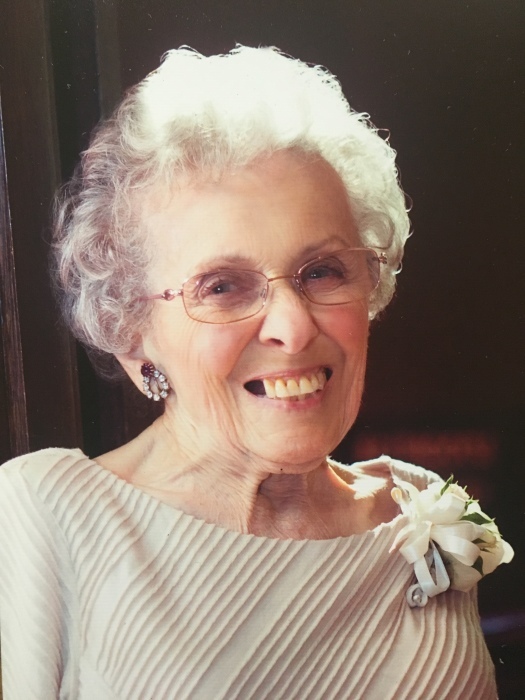 Obituary for Jean Muriel (Cully) Briggs | McClellan-Gariepy Funeral Home, Inc.
Seattle, WA- Jean Muriel Cully Briggs, 92 passed away March 21, 2019 in Seattle, WA. She was born in Brooklyn, NY on May 21 1926 to the late John and Margaret Cully. Jean graduated from Girl's Commercial High School in Brooklyn and Union University School of Nursing as a registered nurse. Upon graduation she started her career at Albany Hospital, then later transferred to Albany Veteran's Hospital. It was there that she met the love of her life, the late George Briggs. George and Jean married on October 31, 1954 and settled in Clifton Park, NY where they raised their two children and countless cats. Jean was active in Brownies, Girl Scouts, 4-H, The American Legion Auxiliary, Veterans of Foreign Wars, and local politics. She was a member of St. Mary's Catholic Church in Crescent and St. Joseph's in Greenwich. Jean was a great conversationalist and never hesitated to voice her opinion on any subject. Her Brooklyn accent (which was detectable till the day she died), only enhanced these conversations. Jean was also a compassionate listener, and was always there to confide in, comfort, and offer sound advice. If anyone asked her for a favor she was quick to oblige and would give even more than asked of her. Jean enjoyed many things like cooking, baking, ceramics, holiday decorating and entertaining, and supporting The Adirondack Red Wings hockey team. Her greatest passion and devotion however, was to her family. She always put her family first and no sacrifice was too great for them. Time together meant everything, The best memories were made skiing every weekend during the winter months, and family vacations in the summer. Jean resumed her nursing career when her children were grown, at Highgate Manor Nursing Home in Troy, NY, as Director of Nursing Services. After retirement George and Jean moved back to George's home town of Easton, then left this place they both so loved to be close to their children and grandchildren in Maple Valley, WA. Jean was preceded in death by her beloved husband of 50 years, George Madison Briggs of Easton, and her sister Dorothy Karkheck. She is survived by her loving son George Madison Briggs Jr. and daughter-in-law Barbara Ann of Seattle, WA, her loving daughter Barbara Jean Arkills and son-in-law Ken of Seattle, WA, two grandchildren Nicole Briggs, and Alec Madison Fursman and four nieces and nephews. A graveside service will be held on Friday, May 10th at 12:30 pm at the Easton Rural Cemetery on Meeting House Rd. A reception will immediately follow at the Elks Club on Bulson Rd Greenwich. At the family’s request memorial gifts, rather than flowers may be made to Guiding Eyes for the Blind. There's still time to send flowers to the Graveside Service at the Easton Rural Cemetery at 12:30 PM on May 10, 2019.